Pippa's voice has been described as "utterly angelic and soothing to the soul" (Dublin Independent Press), and "singularly appealing, honey-smooth" (Hot Press), provoking comparisons with Sade, Kate Bush, Swing out Sister and Everything But The Girl. Pippa writes the lyrics for the songs, which range greatly in their subject matter - from stories of emigration and shipwreck, to the Chaos Theory and the Ku Klux Klan. The lyrics are intelligent and evocative, "effortless in the international language of love and the emotions" (Fintan O'Toole, Irish Times). 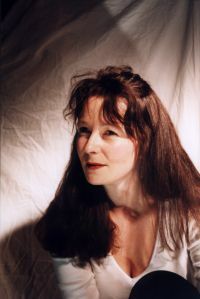 Donal Lunny who produced 'Weather in the Heart' described Pippa as "a poet and a real singer". As a saxophonist she has been strongly influenced by the soloists in the many incarnations of the Van Morrison band, especially by the great Irish player Richie Buckley - so it was a great pleasure for her to be playing alongside Richie's tenor during the recording of 'Weather in the Heart' and 'My Crescent City'. Like Pippa, Rob was involved in the academic world, gaining a Ph.D. in English Literature at Bristol University before returning to his first love of music composition and performance. 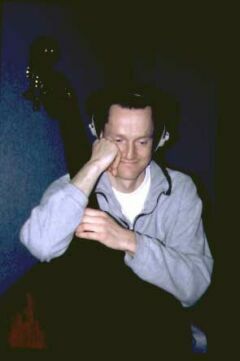 Trained as a classical guitarist, Rob has established a unique and celebrated acoustic guitar style which is the basis of many of the musical ideas in Carmina's sound. He is also a fine traditional Mandola player. In his playing and compositions he has been compared with Pat Metheney, Bert Jansch and Van Morrison. Of Rob the Dublin music critic Trevor O'Rourke wrote "every once in a while there comes a man with a musical vision, a sound so inspirational and new that it cries out to be heard..."
Pianist and composer Geoff Castle joined the National Youth Jazz Orchestra in 1967. 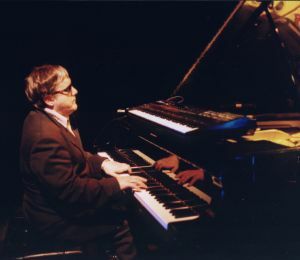 After leaving them in 1970 he joined Graham Collier's septet which starred at the 1971 Montreux festival winning two prizes. 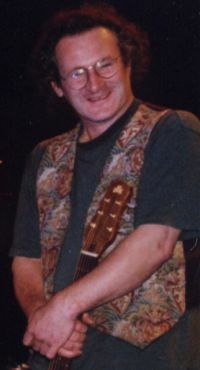 Geoff has featured in both acoustic and electric jazz and he joined Ian Carr's Nucleus in 1974, staying for eight years, six albums and many European tours. He composed a suite for Camden Jazz Week 1981 that featured on BBC radio and Channel 4 TV. In 1983 he was invited to New Zealand to record 'Southern Excursion' with saxist Brian Smith (voted jazz album of the year). He was musical director for the NZ film 'Should I Be Good?' other soundtracks he has played on include 'The Man Who Fell to Earth', 'The Return of the Jedi', 'Space 1999' and the Irish film 'The Guilt Trip' and the BBC TV 'Nippon' series among other programmes. In 1995 Geoff was arranger and musical director for the South African percussionist Julian Bahula album 'Wind of Change' and launched CD label Turret Records with an album featuring his 10 piece Expanded band. A live album by Latin Fusion group Paz 'Dancing in the Park' followed this - their latest 'Samba Samba' is played regularly on Jazz FM. He plays regularly at Ronnie Scott's with tenor player Stan Robinson among others and has accompanied visiting US jazzmen George Coleman, Jimmy Giuffre, James Moody and Art Farmer. British bands he has worked with include Morrissey Mullen, Ian Dury, Sax Appeal, Georgie Fame, John Martyn as well as several cross-over Irish folk and jazz projects with NZ harmonica player Brendan Power. For twenty years Brian Connor has been a major contributor to music in the UK and Ireland. Recognised as a leading pianist, producer and arranger his career has embraced theatre, recording studio and concert venues. He has performed and recorded worldwide with many prominent artists and ensembles including the National Symphony Orchestra, Irish Film Orchestra, Mary Coughlan, Van Morrison, Irish Jazz Orchestra, Sharon Shannon, Rebecca Storm. 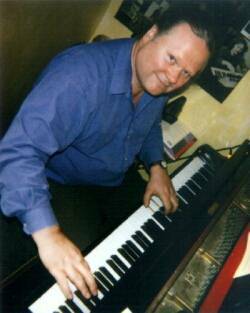 He has also worked extensively in television and radio as musical director for the BBC, RTE and independent companies. 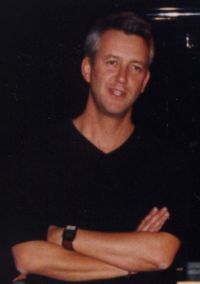 In 1998 he became musical director of 'Riverdance - the Show' and performed with the show in the UK and across the USA on its' groundbreaking tours. He is currently working with singer/songwriter Eleanor McEvoy. He co-produced her fourth album 'Yola' which was awarded HiFi Plus 'Album of the Year' in 2003. David has appeared with leading jazz musicians from home and abroad including John Etheridge, Tal Farlow, Andy Sheppard, Ed Jones and Pee Wee Ellis. He also plays in salsa, rock, roots and theatre pit bands where he has backed everyone from Little and Large to The Four Tops and Roland Rat! In 2001 he toured the UK and Ireland with a rousing soul musical written by Kwame Kwei-Armah, featuring soul diva Ruby Turner. More recently he has been touring and recording with Ian Anderson of legendary rock band Jethro Tull and appears on his latest solo album 'Rupi's Dance'. He also teaches privately and at Dartington College of Arts in Devon, England. 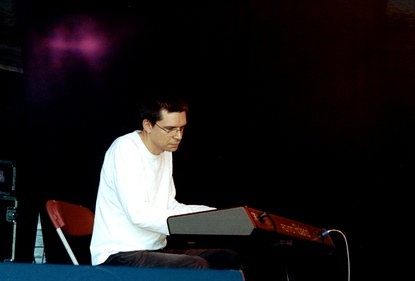 Julian guested with Carmina on several occasions before he finally joined the band in 1997. He made his name in the jazz world very early on, playing with Dudu Pukwana when he was only sixteen. Since then he has been a member of Loose Tubes and the Eddie Parker Band as well as composing for and leading his own band. 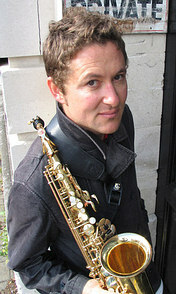 He is an immensely powerful tenor, alto and soprano saxophonist, highly regarded for the intensity of his playing and his unique tone, as well as a brilliantly innovative Irish whistle player. He has been described as "a stylish and uncompromising player" (Vox), with "an intensely human sound" (Jazz Magazine). Although he has worked widely in the jazz world, as he said in a recent interview about his involvement with Carmina, "I never felt that jazz was my only musical path", and in Carmina's music he has found the backdrop to another area of his musical journey. Nic's incredible versatility as both drummer and percussionist has made him equally at home in the areas of jazz and pop, roots and rock. He has recorded and performed with a great number of acts: Pink Floyd, Bill Withers, Tanita Tikaram, Annie Lennox, Mose Allison, Terry Callier, Ronnie Scott and The Bronte Brothers to name but a few, and established a reputation as an inspired and skilled producer. He joined Carmina in 1997, coming highly recommended by Pete, Julian and Nigel who had all played with him in various jazz line-ups. His ability to play both drums and percussion simultaneously, as well as his great musicality and invention, made him the perfect choice to complete the Carmina band. 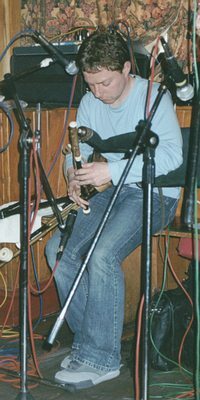 Diarmaid Moynihan is recognised as one of Ireland's finest uilleann pipers and first came to the notice of audiences in the UK during his touring with Belfast band Craobh Rua. He is a founding member of the innovative five piece Irish band Calico whose two albums,'Celanova Square' and 'Songdogs', both won awards from the music magazines in Ireland and France. He has written music for such traditional luminaries as Lunasa, Flook, Mike McGoldrick, Andy Cutting and Karen Tweed and Galician fusion band Spiritu 986 among others. Carmina have now joined forces with one of the finest fiddle players in the world. 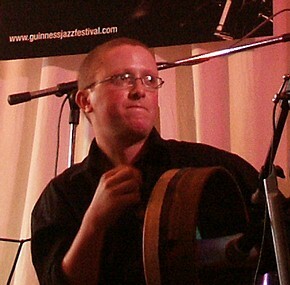 Highly experienced and versatile, Chris crosses with ease the boundaries between Jazz, Celtic and World Music. He has worked with artists as diverse as Alison Moyet, All about Eve, Riverdance, Brendan Power, The Kremlinaires, Zumzeaux, Rolf Harris and Ute Lemper and has appeared on over 60 albums. Brian (from Nenagh, Co. Tipperary) is a much sought after player, he has performing & teaching all over Europe, The United States, Canada, Asia and South America. Brian is currently lecturing & tutoring on the BA in Irish Traditional Music & Dance, and the MA in Irish Traditional Music Performance programmes at the Irish World Music Centre, University of Limerick. Prior to this, Brian worked as a community musician, providing music appreciation workshops all over Ireland (working with organisations such as Music Network, Gael Linn and Artscope & as a council member of the Forum for Music in Ireland). He completed a residency as ‘Composer in the Community’ with North Tipperary Co. Council in 2003, releasing a newly composed suite entitled 'Blastán' on CD. (available from madfortrad.com). 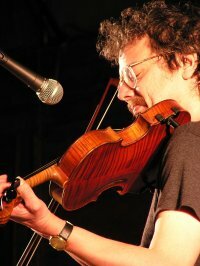 Brian has performed, composed for and recorded with many individual artists & groups, besides Carmina, among them pianist/composer Mícheál Ó Súilleabháin, with North Cregg on the 'Fiddle Fair 2' compilation CD, Ganam on the 12th 'St. Patrick’s Day Celebration Tour' CD, with singer/songwriter John Spillane, singer/composer Liam Lawton, Irish-American singer/songwriter Casey Neill, Armagh trio Niall Vallely, Paul Meehan & Caoimhin Vallely on their critically acclaimed 'Buille' album, the National Youth Orchestra of Ireland, percussion ensemble Pulsus, Meninos do Morumbi, a samba school based in Sao Paulo, Brazil & the DVD 'Ringy' celebrating the life of Cork hurling legend Christy Ring and forthcoming albums from Cork singer-songwriter Eoin Coughlan, and Armagh pianist Caoimhin Vallely. whom we look forward to working with again in the future. Like Pete, Nigel was an early member of Carmina. He is an immensely soulful player who has performed and recorded with Don Weller, Pete King and Blues Corporation, among others, as well as composing for and leading his own group. His quartet released an album last year, confirming Nigel as "one of the foremost composers of his generation" (Jazz Magazine). He was drawn to the strength of Carmina's songs and as a Buddhist, to their integral spiritual element, and he has a depth and expressiveness in his playing which complements the music perfectly. Ben has been involved with Carmina from very early days, and is now in great demand from all kinds of musical areas, including jazz, folk and theatre shows. He has a huge musical range, and is renowned for his acoustic power, impeccable tuning and imagination. He has also been in hot demand by contemporary Jazz players, including Gerard Presencer, Helen Barnes, Bruce Adams and Roy Williams, as well as working as a session musician for other recording projects, and appearing on Polly Harvey's first album. 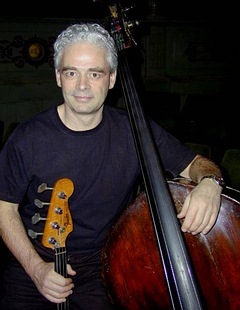 For the past ten years he has worked professionally as a double bass player for many shows in the West End, touring internationally with the shows and recording many of their soundtrack albums. Ben's rich, warm bass sound and faultless precision enhance Carmina's acoustic sound greatly, and his work on 'Love Like Angels' is outstanding. and musical mentor to Rob and Pippa, who is now sadly no longer with us.